The Yenidze is located in the easternmost part of Dresden’s neighbourhood Friedrichssadt, which had been a village referred to as “Ostra” up until the 16th century. The first time Ostra was mention was in in the same record as “Dresdene” in 1206. In 1559, Elector of Saxony Augustust I, took possession of Ostra. He annulled the village and founded an agricultural estate called “Ostravorwerk”, which was a falwark established to supply the electoral household and secure Dresden’s fortress. In honour of the Elector Frederick Augustus I of Saxony, son of Augustus II the Strong of Saxony, the neighbourhood was renamed to “Friedrichsstadt” and suburbanised to Dresden in 1703. Today, Friedrichsstadt stretches over an area of 6 km² and is inhabited by roughly 70 000 people. 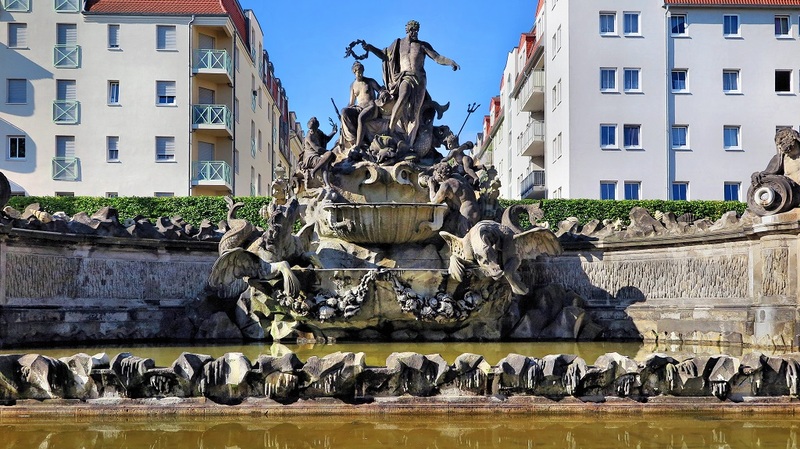 In addition to the Yenidze, the neighbourhood is shaped by various other cultural and recreational facilities, such as the Palais Brühl-Marcolini, the Fountain of Neptune or the exhibition grounds. Friedrichstadt has an extensive infrastructure, which includes excellent access to commuter trains, trams and bus lines as well as various nurseries and public schools. Friedrichsstadt also hosts Dresden’s oldest graveyard, which was build in 1721 after Augusts the Strong´s conversion to Catholicism. Furthermore, the architecture of the neighbourhood is shaped by the hospital, which is protected heritage, the former municipal stockyard and slaughterhouse as well as the few preserved buildings of the former falwark. We like to thank “IG Historische Friedrichstadt”, a regional Community of Interest, for providing us with background information and footage.